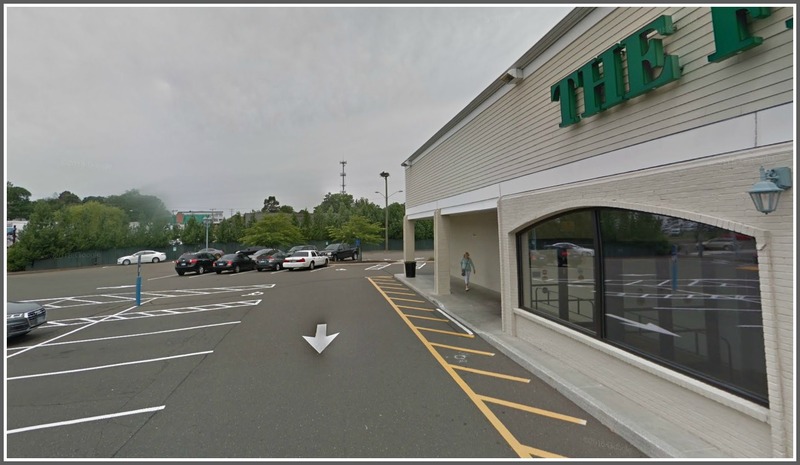 This entry was posted in Environment, Local business, Local politics and tagged Eversource, Fresh Market, ospreys, Regency Centers, Terrain, Westport Planning & Zoning Commission. Bookmark the permalink. Thank you Dan for all the work you have put into this terribly upsetting issue. Time to mobilize. I agree, let’s get to the Thursday meeting, but should the ospreys have to wait until then? It’s COMPLETELY clear that this was done against Federal Regulations. The platform needs to be replaced now. Regency local office 28 Church Lane, Westport. Jack deVilliers, V P Investments 203-635-5560, no email given. Elizabeth Miskelly senior regional property manager. LizabethMiskelly@regencycenters.com. Phone 203-635-5566. Needs to be done ASAPlease for the sake of the Osprey’s emotional wellbeing. The old nest needs also to be reinstalled for them to add to– unless, of course, human scent would deter them from laying their eggs there. They are traumatized by the actions of late. ENOUGH IS ENOUGH !! Love the Ospreys and there’s clearly much smoke here that will hopefully get converted into facts in the near future. Strikes me odd that this topic is getting so much emotive coverage when the sudden and questionable departures of our school superintendent and Staples principal were simply mentioned without any real follow-up and/or commentary from readers. One is a nice animal care story (and I do care about them) but the other involves the future, the betterment of our children, real estate prices, and maintaining Westport’s reputation as a high-quality school system. If you have concerns about the schools, you might float them in the appropriate conversations rather than attempting to hijack this one. We are talking a violation of federal law here, not a cuddly animal story. Can we get the utiltiy involved immediately as an emergency and have them replace the platform? I wonder if anyone has tried contacting them. Regency is owned by someone outside of the country who could care less about our laws, conservation or otherwise. I recall checking into it when my long time friends, Steve and Susan Silver didn’t have their lease renewed. I may be in lower Weston now, but I do all my shopping in Westport and have lived in Westport/Weston since ’80. I’ve worked with and have known Wildlife in crisis for years and am very familiar with Christine. The ospreys need help. I hope DEEP fines the daylights out of Regency for all the violations, as well as Westport. Most importantly, please replace the platform ASAP. The ospreys are being unduly stressed. Westport FD can do something, yes? Sounds crazy, but it’s possible. I would hope that besides throwing the financial and license revocation book at the owners, personally if possible; the town grant them no further approvals of any type until all incomplete work in other properties they own are brought 100% up to date. Regency needs to promptly step up and own up to this disgusting violation and immediately replace the nesting platform and then leave it alone! They have not been a decent corporate citizen in Westport but they can start now and do the right thing. Can-Regency Centers is a publicly held company that owns many shopping centers. They have a corporate website that has a section on corporate responsibility. NOT!! Appears they don’t follow their own guidelines. Someone should write their CEO. 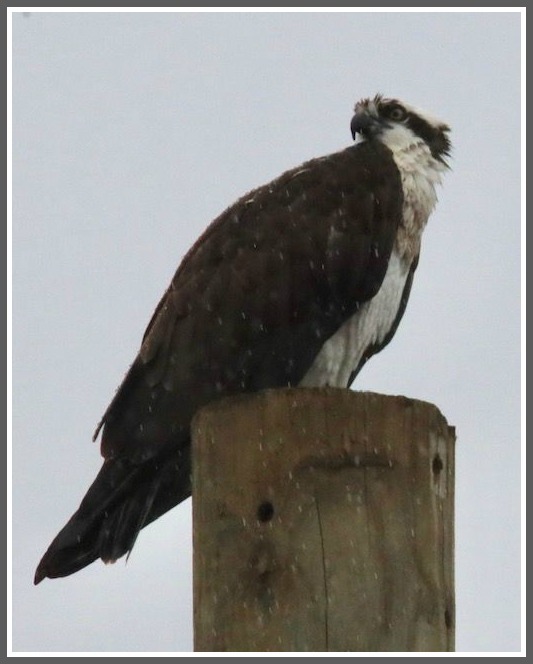 We would consider hosting the Osprey nest at our property across the street at 500 Post Road East but would need local support to coordinate such an installation properly. Would this be the same Regency Centers with offices at 28 Church Lane, on the 2nd floor, in Westport, with the phone number 203-635-5560? The ones whose website is plastered with feel-good messages about community? I too went to look up Regency online and the tag line that came up was “Community is our passion”! What a crock!! It’s absolutely awful. I hope something will be done with lightning speed to restore the nest to these distressed ospreys! Regency Centers also maintains a Facebook page where you can recommend or not recommend them and post your reasons. I’ve just posted on it. GAME OVER! You don’t reward a company that behaves in this callous fashion by even so much as allowing them a voice at the P&Z Meeting. Game Over. They lost their opportunity. Nobody from Audubon or DEEP approved any of this (that was made clear to me yesterday by a Wildlife Rescue Worker I encountered under the Osprey’s former pole. Regency should be criminally charged and fined and not given any chance for a hearing . Thank you for such a thorough and responsible covering of the story. I feel a real need to do something. I will be dropping off a few nest quality branches at the base of the destroyed nest and perhaps atop Regency Center signs. Perhaps the Osprey or the repair crew can use them. Thursday night looks like pay back time to honor these Ospreys who had their nests yanked out from under them by some really stupid people. All of use should fill Town Hall to voice our anger at what has been done. I was there today (Sunday) at noon and just went by again around 2:30. The one osprey was still atop the pole. Earlier the second osprey was perched in a nearby tree and then circling the other osprey, with a fish in its talons, but nowhere to alight. The birds were shrieking. At noon I called CL&P from the Fresh Market parking lot and gave them the address and the pole # 22153. They of course said there was nothing they could do nor anyone I could talk to until Monday. He said he’d open a ticket, indicating that I was concerned. I said no, there are hundreds of people that are concerned and upset. I told him that CL&P has a wonderful PR opportunity, if they attended to this TODAY. I gave them my cell #. Nobody has called. No CL&P truck has been seen. I have a friend who is an animal authority. He knows the right DEEP contact…but again, DEEP is Monday – Friday. I asked my friend to give the contact my cell number, which he did today. No call has been received. My friend reiterated that Ospreys are protected and this action violated a Federal law. I’ll send my pics and a video to Dan. I’m posting the video on YouTube for Regency’s “benefit”! I don’t understand why something can’t be done before tomorrow. It’s a violation of the law. I didn’t realize that enforcement of the law, or protection of victims was specifically Mon – Fri. This is a Fed law. Thank you, Dan for your complete coverage. Bless your little heart. You must have a bad case of TDS. So sorry! Its all Trumps fault..everything! TOMORROW (MONDAY) MORNING, PLEASE START CALLING THE LANDLORD (Regency Centers). They say that “community is their passion”. So show them that the community is furious and demand they put up a new platform immediately. 3:30 and the osprey is atop the pole in the rain. This whole thing turns my stomach. Addressing the Osprey’s IMMEDIATE need to rebuild their nest, I really do hope they build a new platform at the same location ASAP but could a possible alternative location be put up at Winslow dog park? I fully admit to knowing nothing about Osprey nesting habits, but Winslow might ultimately be a better location and is in very close proximity to the current location while having the benefit of not getting held up in the approval process. Like the post to the “plus” page states, we missed the mark in looking at the whole picture. Therefore, we will be getting the platform back up ASAP, and have even modified our construction schedule to a phased approach so we don’t disturb them during the nesting/breeding season. Once we have been able to determine the fledglings have safely vacated the area then we will continue with the work on the enhancements. Jack is currently addressing the issue as we speak, and should you have any questions I’d be happy to answer them here, or via email. I understand there are a lot of concerns that might want to be addressed and I am making myself available for as long as possible. Thanks again to everyone who took the time to comment and even reach out via phone and email, this kind of feedback is important to us, as we want to remain good and responsible neighbors. Eric-your actions speak louder than words and your company has shown you are just interested in yourself. The parking lot situation was just the last bad community behavior. And now it appears you broke the law. I hope the authorities press charges. You need to finally learn a lesson that bad decisions come with consequences and sometimes serious consequences. Eric, if violating federal law, impersonating an Audubon official and moving forward on a construction project prior to town approval is just “missing the mark” for Regency Centers you may want to revisit your definition of a good and responsible neighbor. I’m very much hoping that as soon as possible means the platform and nesting materials will be replaced today. Hey Ruth, I’m unaware of anyone impersonating an official of any kind. I also see some other claims here that I’m not certain as to their origin. We aren’t owned by anyone outside of the country either. As for the moving forward with the project prior to approval, the intent behind addressing the platform was originally so the ospreys could find a new location as soon as possible, without impeding their nesting timeline in the area. Since the platform is going back up and we are modifying the construction schedule then that will be avoided entirely. Talk to Terrain and Fresh Market. The person who spoke to them the day of the removal identified himself as from Audubon and a biologist. He was clearly aware he should not be removing the nest. Appalling. We will definitely look into this. That is not something we would employ, ever. Eric-if Westport was not rallying against this would you really be concerned? This is just ‘ask for forgiveness’ after getting caught. So many things going against what you are trying to apologize for. You did something like this at Trader Joe’s. Come on, your actions and lack of concern show right through. This time you probably broke the law. It was not an impersonation but a miscommunication that was cleared up in minutes, to where the gentleman involved with assessing whether the nest was active explained that he was actually associated with All Points Technology. It was an emotional morning, with the witnessing of the dismantling of the nest right before our eyes. Than you Dan for covering this story & immediately informing our community of the dire situation that has led to a resolution for the osprey which is the MOST important part. Let’s hope the platform is replaced in time to allow the Osprey to rebuild their nest in order to continue to return yearly. Time is of the essence. I just heard back from Jim Marpe. He indicated, “…I have been in touch with the property owners and my understanding is that they are rectifying the situation immediately and will pursue an alternative construction approach.” Appreciate Mr Marpe getting back to me. Hopefully, this is good news. We shall see. I hope Jim Marpe stays out of this. Regency is a bad company doing bad things. It is a pattern that needs to stop or they will continue. Let the law officials look into this. I drove by today and it was so very sad to see the lone majestic bird atop the pole. Can you add a new platform and import a intricately intertwined and sturdy nest, or do they have to build their own? I am sure if I read all the comments in the many posts, this may be answered–how many Osprey nests are in town–I know there is at least one or two more– and when and were they installed and by whom. Its fascinating the federal law dates to 1918. No doubt a progressive era reaction to the Victorians systematic collecting and harvesting of flora and fauna and its parts (like bird eggs) which resulted in many species being threatened and even led to their extinction. This led the creation of strict federal laws and preservation organizations like the Audubon Society. Also, I happened upon yesterday, pure coincidence, a Bridgeport Evening Farmer, May 15, 1917, article about a statewide convention of Connecticut Bird and Nature Clubs. In Fairfield County alone there were at least organizations dedications to birds protection—and Westport had one—the “Neighborhood Nature Club,” (also learned about that group yesterday at CT Trust event here!) Maybe it is time to rally and up start up again and fight for the Osprey! The bird groups listed in the Bridgeport Farmer 1917 articles included: Greenwich Bird Protection Association, Hartford Bird Study Club, Ivoryton Bird and Nature Club, Meriden Bird Club, New Haven Bird Club, New Canaan Bird Club, Norfolk Bird Club, Norwalk Bird Club, Waterbury Bird club, Westport Neighborhood Nature club, Woman’s club of Seymour Flora, The Burroughs Nature Club, Waterbury Naturalist club, Connecticut Botanical Society… National and State Audubon society. The national association has 600 or more members in Connecticut. My son’s (appropriately named) Eagle Scouts project was construction of the osprey nest at Longshore, some years ago. Eric Davidson at Regency was there today when I called earlier today. He ‘promised’ they are looking into and will have good news later today and post it here. I am skeptical based on the latest reports but the more people that call and put pressure on the better. The best immediate action is getting the platform back up for the Ospreys asap. India, thanks for posting his number. Hey Trissie, thanks again for reaching out earlier. We will be putting the platform back up as soon as possible, and have our teams working towards that outcome as we speak. Please rectify this situation quickly!! I have driven by several times to see the lone bird on the pole. It is beyond upsetting. Time is ticking Mr. Davidson and many are watching. We are working to get it addressed as soon as possible. Exactly what time frame is “as soon as possible? We are looking to have it back up tonight. 6:49pm We are here and no one is working on site. When do you expect it will be completed this evening? I just spoke with our team and we have been mobilizing a crew to get out there ASAP. From what I’ve been told it will be quite late for a Sunday, but they are planning on working through the night to make sure it’s up before morning. Looking? IPreferably it will be up by this evening. That’s our goal and what our team is working on as we speak. Eric, you have a real P.R. nightmare as concerns the Town of Westport. Clearly your organization dropped the ball in trying to solve your problem by removing the osprey nest. You may have thought that this nest was of no consequence to the Town. Well, you figured wrong. Just by putting the nest back up does not mean that you and/or Regency are absolved of any guilt. The birds may not come back to nest and raise their young and the people of Westport will be deprived of one of the things that they deeply enjoy watching during the warmer months, as the new osprey chicks stick their head above the rim of the nest. From what I read the corporate decision that was made was very flawed and more importantly it was illegal. Regency has a very deep hole to climb out of as far as this town is concerned and therefore anything you say at the Planning and Zoning will be hollow. Eric it takes years to build creditability and only one bad decision to erase all the good that you think you might have done. Tom I am outraged. Not just over birds but over corporate greed at its worse. They used deceit and lying to benefit themselves. Their actions are typical, just ask the neighbors behind Trader Joe’s. Who knows how many more have been impacted by this greed. They broke hearts but they also broke the law. Either they get what they now deserve or they will continue this practice. As a business leader I am mad. Enough is enough. They are a publicly held corporation and their board needs to find out why they think they can get away with this. Just a guess there is much more. Looking? What about actually having it in place within the next few hours? Is there anyone in the immediate area of Fresh Market right now who can confirm if there is in fact a “team” working on this? Regency Centers owns a number of properties in Westport. Eric Davidson, may I ask how Regency contributes to our local community? Do you donate to local organizations, sponsor a little league team, etc? This is a fair question, particularly in light of the damage you have done to our local wildlife and the distress of many citizens. It is a fair question. Our team works with various community groups in the area, both in and out of the workplace. When handling the Osprey nest in Westport it seems your “missed the mark” has indeed missed the mark. Your actions were not a mere blunder or accident. Your removal of the Osprey nest is clearly planned. If Terrain and Fresh Market are to be believed (as I’m sure they are), then your actions are planned, deceitful and probably illegal. We fully expect you to right your wrong tomorrow, not as soon as possible. And presumably you will share who made this decision and explain how and why it happened. PLEASE! Can someone put something back for them? Enough discussion! Rally around their office on Church lane and or P &Z MTG Thursday…. I called Liz Miskelly last night at 10PM. She is listed as the senior regional property manager in Westport. Not sure if she got back to me via an emergency request I made with your answering service or the voice mail I left her. I told her what was going on in “morbid” detail and all the DEEP regulations that were violated. She was speechless. I would like to know if she contacted you or Mr. DeVilliers as we would have been a full 18 hours sooner in rectifying this. I would also like to point out that your so called “contractors” were rude and outright nasty to the employees of Terrain who tried to stop them. Check the facts! There are rules and regulations in place for a reason. Your total disregard and respect for animals and the citizens of Westport are abominable. This is a PR nightmare for you of astronomical proportions. Good luck in rectifying this and earning the public’s trust. Hey Leslie, Liz let us know immediately after your call. At which point we began organizing our team to discuss the situation. Once we were able to get all of the people involved together we began working on an alternative to the original plan in order to accommodate the nesting season and modify our construction phasing for the year. I know it might seem like this was delayed, but we really have worked as quickly as we could possibly move. How many laws do you think you broke? Hopefully this ends in the right way, a charge and investigation as to what exactly occurred. Not because of this one violation, but the many your company and you (?) have done over the past few years in Westport. The neighbors at Trader Joe’s deserve it. Your totally disrespect for Westport rules and zoning laws and public trust requires this. Why isn’t anyone on site? In a previous comment, you said it would be taken care of tonight. Do you have a time estimate? Hey Eric – I called you last night – you should have been on this first thing this morning. I also did not get a call back from you, despite leaving my number. Marcy, my apologies for not getting back to you today directly. Hey Eric – where did the original nest see its demise? Did they cart it away? They are very heavy and intricate nests. That nest has been there for years and I’m not sure a platform at this point in the breeding season will suffice. Perhaps, you know who took that beautiful nest? Do we know if the platform and nest are back up at this time? Eric – can you assure us that Regency will cooperate with any federal, state, or local investigators to make sure that those who stated that Audubon “approved” of the actions (as if that would trump federal law) will be identified and that any persons who violated the law, approved the activities of those who violated the law, or participated in any attempt to sidestep appropriate legal or regulatory processes will (obviously, with all due process) face the appropriate legal consequences for their actions? This was a deplorable act. Osprey mate for life and return to the same nest year after year. We should all hope that Regency Centers replaces the platform this morning and that they are absolutely held accountable for breaking a federal statute. It is a privilege to have Osprey in our town and they should be treated with respect and advocacy. I can’t believe they took it down but I’m happy it is back up now.